Deutsche Bank has agreed to pay a fine of $205m for violations of New York's banking laws, the state's Department of Financial Services has said. Violations that took place between 2007 and 2013 included efforts to improperly coordinate trading activity through online chat rooms, sharing confidential customer information, trading aggressively to rig prices, and misleading customers. 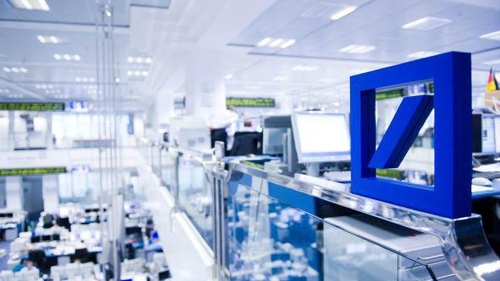 Under the consent order, Deutsche Bank will take steps to prevent similar incidents from occurring again by improving senior management oversight of the company’s compliance with the State laws and regulations relating to the company’s foreign exchange trading business. "The settlement is fully covered by existing provisions," a Deutsche bank spokesman said. Other banks that had settled similar charges in the past are Bank of America, Bank of Tokyo-Mitsubishi UFJ, BNP Paribas, Goldman Sachs, JPMorgan Chase, Morgan Stanley, Royal Bank of Canada, Societe Generale, Standard Chartered and UBS.